I don’t remember the last time I took a nap at 8:00 on a Saturday evening. And it has been a while since I have wanted to call it a day that early as well. But we brought Daughter #2 home from the hospital on Tuesday and the last five days have just worn me out. “Cricket” came into this world with an intense, but medically boring, birth. The next five days made up for it and where an unexpected whirlwind of “new”. I learned how to spell “hyperbilirubinemia” and learned all about the jaundice it causes. I learned that “bili-lamps” are slow working devices. I learned that five days in the NICU is nothing when you speak with a father who has been making daily visits, with his toddler in tow, for three weeks (and the docs just told him his daughter may be cleared to leave in two more). Oh boy, what an adventure. So yeah, we came home Tuesday afternoon. And that was after a morning appointment to get Cricket checked out. Thankfully, the visit counted as a NICU follow-up and her 1 week wellness check – score! The doc who diagnosed her jaundice was on duty so it was a solid follow-up. The rest of the week was spent realizing our “new normal” and introducing Sweetie to the concept. Simply put, three words: work in progress. Sweetie is asleep so Momma Bear and I are just sitting enjoying some mindless television. Baby Garbanzo is due to arrive any day now and I think we are ready (as ready as possible), so we are relaxing a little. We have spent the last six months preparing for this new addition to join our household. Once again rooms were re-assigned and furniture moved around. Ceiling fans, closet remodeling, electrical clean-up, light installations, fresh paint and shelves were all part of the overall projecting on our three bedrooms. And where are all of the pictures of these projects? And where is the DIY, Dad-centric information on these projects? And how does one complete these projects without exposing the rest of the family to noise, dust and fumes? 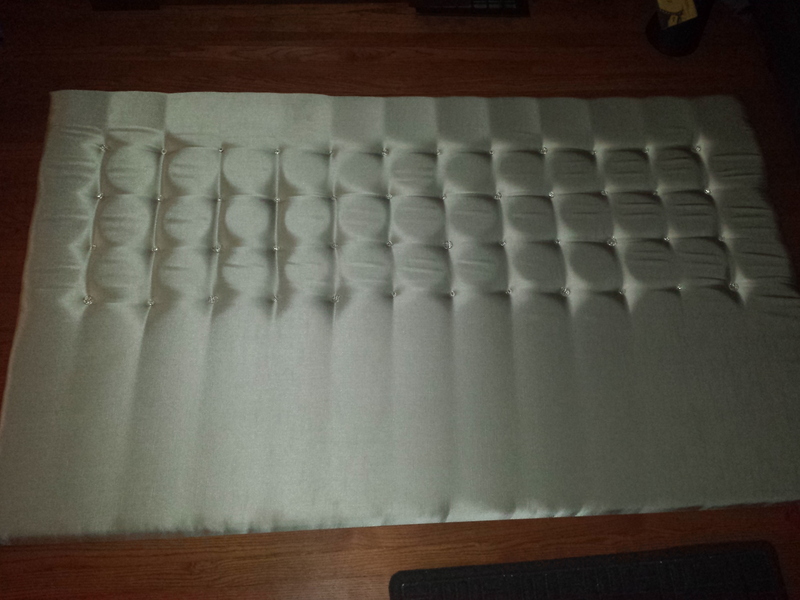 Alas, as Wife and I completed a “quilted” headboard for Sweetie’s bed tonight we admitted that we are terrible at recording and sharing these things. I think this new baby will help me re-visit the blog site and edit some items. I am thinking I need to launch a new “Projects” category to share all of this stuff with the ‘webs. The blog was just an idea when I started my new assignment with Sweetie. I didn’t get the site up and running until she was eight months old. This time the infrastructure is in place, and I hope I utilize it. I already recognize things I didn’t catch and share before, so I should be better about that. And there should be less surprises this time around. “Should be”. That is such a funny thing to say when dealing with children. Anyway, the point is that I should be writing more over the next year than I did with Sweetie’s first year. Since I started my blog I have discovered various other stay-at-home Dad blogs. That’s not profound, that’s the beauty of this whole blogosphere. It’s a big conversation with input coming from all over the world (it always takes me a minute to “translate” when I read entries from Britain because of the different lingo). 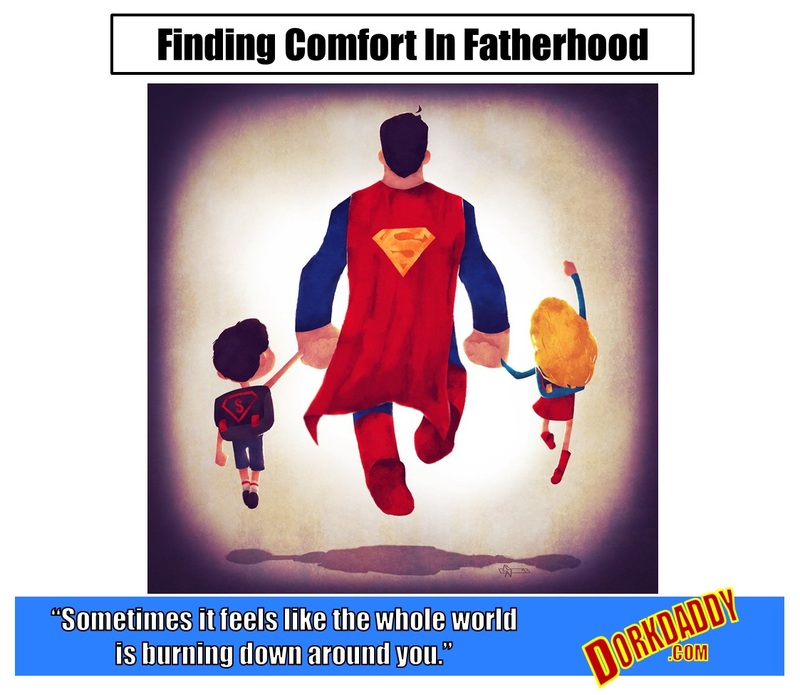 I started this blog intending to share my experience and support other stay-at-home Dads. Joining that conversation has been excellent and I look forward to refining my contribution. Well, the bags are packed and loaded in the car. (Want to know what we packed? Just ask in the comments and I will detail it out.) It’s late enough for tonight and time to sleep – we’re going to need all the rest we can get over the next few days. In brief, the transition to a “big” bed went smoothly and Sweetie has been enjoying it for the past 3 months. Potty training is going well, with big strides this past week. It has been one month since we have changed a diaper and I am loving every minute of it. Of course this will only last until Garbanzo shows up, but that’s no big deal (once we’re done with the meconium – ugh). That new addition is coming soon, and Wife and I will share what “it” is once we know. That’s right folks, no gender info here! Friends all around us have started a “2 child family” club and we are marching right towards it; ETA, August 9. Oh yeah, and there is this whole back porch project I have yet to share with you. There is more work to do, so the detour continues. Dads, this one’s still for you.